EAB Pocket Knife. 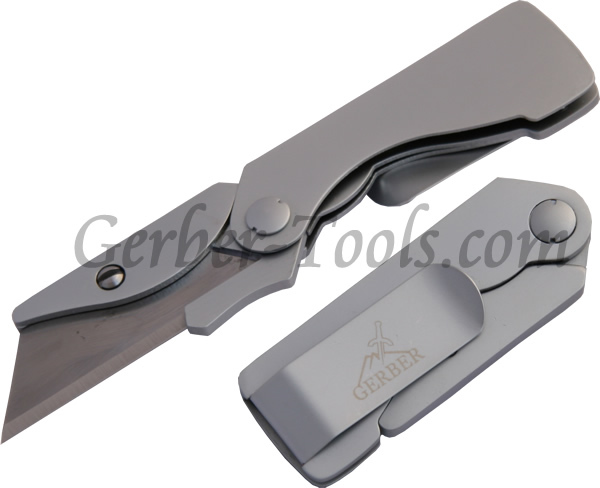 The Gerber EAB Pocket Knife, model 22-41830, is a stainless steel utility knife that uses contractor razor blades. 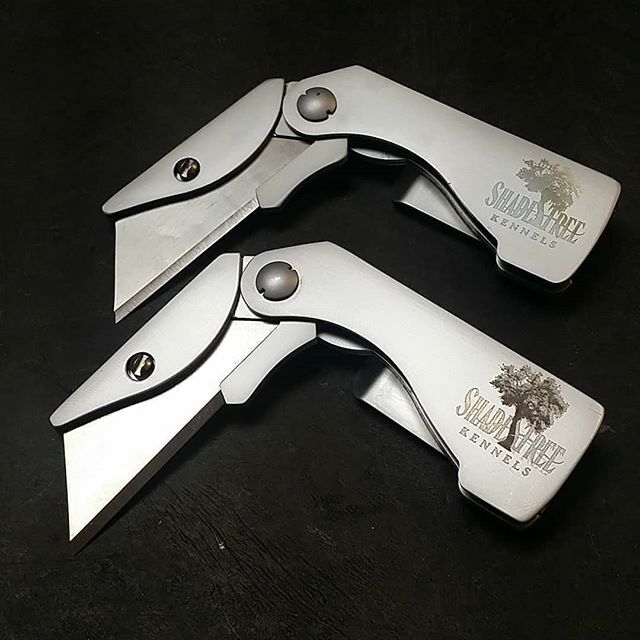 When one side of the blade gets dull, turn it to the other side. When the other side gets dull, replace the blade. Weighing only 2.2 ounces, the Gerber EAB fits nicely in your pocket without feeling bulky. 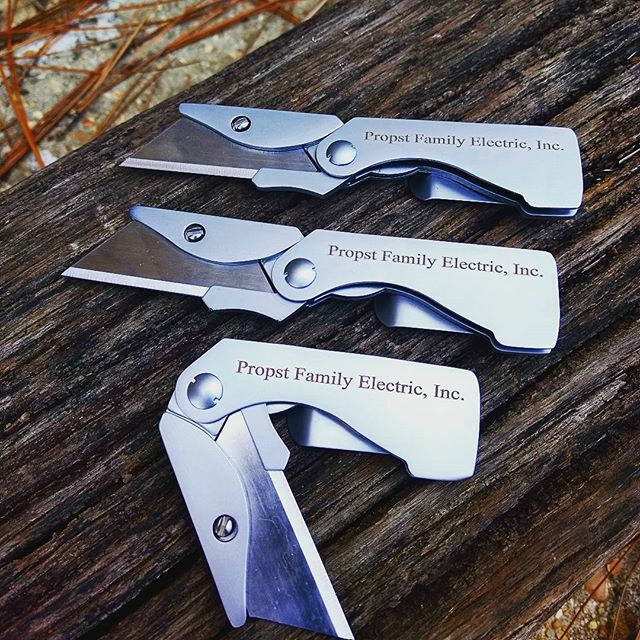 With its low cost and excellent flat handle, the Gerber EAB is perfect for monogrammed gifts.